Hokkaido is often regarded as a ‘hot spring kingdom’ and boasts a wide variety of different types of indoor hot spring facilities and outdoor spas. Amongst the most popular resorts are Noboribetsu Onsen, Jozankei Onsen, Toyako Onsen, Yurokawa Onsen and Niseko Onsen all of which are blessed with stunning views of mountains, oceans or lakes and have superb indoor or outdoor bathing facilities. Sapporo is the capital and famous, amongst other things, for hosting the Olympic Winter Games in 1972. It is also well known for its delicious ramen (Japanese noodles) and annual snow festival, which takes place every February and attracts more than two million tourists from all over the world. The capital is also home to Sapporo Breweries - the oldest brand of beer in Japan. Other popular tourist destinations in Hokkaido include Hakodate often referred to as the ‘City of gourmet food’. Not to be missed is a trip on the ropeway to the summit of Mt. Hakodate for stunning views over the city acclaimed as amongst the best nightfall views in world. For more information about Hokkaido, see their official tourism website. Air - New Chitose Airport, Hokkaido's largest airport, is located 45 kilometres from Sapporo city centre. 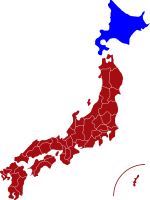 The airport has regular flights to most major Japanese cities and the flight time from Tokyo is just 1 hour 35 minutes. Click here for its English website. Matsumae Castle - The original castle was built on the most northern tip of Japan in 1606 and belonged to the feudal lord who ruled the southern region of Hokkaido. The castle was reconstructed in 1854 by the Tokugawa government and was the last castle built during the Edo period. Mt Hakodate - The views over the city of Hakodate and beyond are considered as one of the best night views in the world. 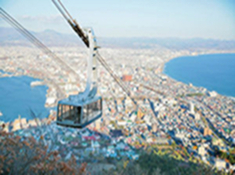 The summit is 330 metres above sea-level and can be reached by ropeway in just three minutes. 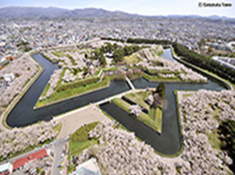 Goryokaku Fort is a star-shaped fort that has been designated as a special historic site. The Goryokaku Tower Observatory commands a panoramic view of the fort. 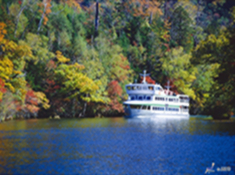 Lake Akan - Sightseeing cruises on the lake are Akan’s most popular tourist attraction and operate daily between late April and the middle of November. There are several ryokans located in the hot spring resort of Akankohan that have hot spring bathing facilities with views over the lake.